Root canals are commonly performed when a tooth has become damaged, such as to resolve the pain from a severely broken or infected tooth. In some cases, root canal therapy is needed to treat a tooth that has suffered from severe trauma, such as injury to the mouth. If the tooth is left untreated, damage will continue and the tooth will likely need extracted. Due to advancements in dentistry, root canals are now no worse than a standard dental filling. A local anesthesia is used to minimize discomfort during the procedure. We will remove the area of damage from the tooth, including the pulp of the tooth. A tooth can survive without the pulp after it has fully developed. Once the pulp and damage are removed from the tooth, the tooth is then sterilized and sealed using a special material. Then, we take an impression of the tooth to create your custom dental crown. We will create the exact crown you need in terms of size, shape, and appearance. After the new crown is in place, your tooth will be protected from additional damage, while restoring the tooth’s function and appearance. How Can I Get a Root Canal? As a dentist in 43615, Dental Group West can perform root canals and the dental crowns needed in-house. However, in some cases patients may need to be referred out of office to an endodontist when in the patient’s best interest. Situations such as small roots, may require you to be seen by a specialist to ensure the tooth is properly treated. We partner with the best in the field to guarantee you receive the highest level of care. We will perform an initial examination of the tooth, including the use of imaging technology to create a customized treatment plan. We understand that the procedure may be a financial burden. However, we do not want to see you delay care due to the cost of the procedure. To help pay for any expenses, we offer two financing options to meet your budget: Lending Club and Wells Fargo Financing. 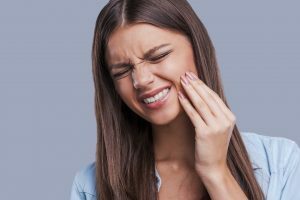 If you are experiencing significant tooth pain, you need to schedule a consultation with Dental Group West. We will find the underlying cause of the pain to determine if root canal therapy is needed. If the procedure is necessary, we will provide the high-quality, personalized care you deserve to stop the pain while repairing the damage.